It’s spring and the avid angler is eager to get out on the water. With Lake Champlain on the west and the Connecticut River on the east and with hundreds of lakes, ponds, rivers and streams in between, Vermont is an angler’s paradise. With no closed season for many fish on Lake Champlain and trout and landlocked salmon opening in April, what are you waiting for? 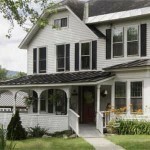 For lodging in the Lake Champlain region, Vermont.com can offer a multitude of options to meet your needs. Not an experienced fisherman, but looking for a lifelong hobby? Try fly fishing. Izaak Walton, author of “The Compleat Angler” published in 1653, perhaps said it best. He called fly fishing “The Contemplative Man’s Recreation.” There is something elegant and precise about the sport that sets it apart. 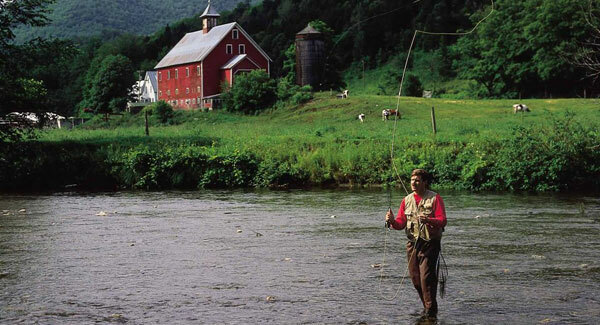 One of the best places to learn is at Orvis Fly Fishing School in Manchester, Vermont. This 2-day class will teach you everything you need to know to make this sport your own. 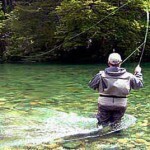 Fly fishing can be done from boat or shore, in streams or ocean. The Battenkill, right in Manchester, offers the opportunity to test your new skills against some of the wariest trout in Vermont. The trout in the Battenkill are all wild, streambred fish unused to humans as hatchery trout can be. The best fishing in the Battenkill can be found mid-May to mid-July. 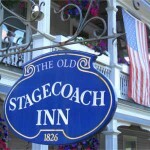 Vermont.com can offer suggestions on where to stay in or near Manchester. Choose between magnificent hotels to quaint country inns to economical campgrounds. Lake Willoughby, in Vermont’s Northeast Kingdom, is a favorite destination for serious anglers. And for good reason. Shawn Dutil caught a record-setting trout (35 lb. 3.2 oz.) in the lake in 2003! Locals also say that the Willoughby River is a hot spot for trout. 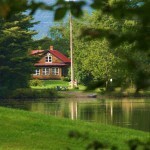 Stay right on the lake at the WilloughVale Inn and Cottages. Choose between comfortable guest rooms in the main inn or bring the family and opt for one of the quaint, individual cottages. The Golden Stage Inn, located in the Okemo Valley in Proctorsville, known for it’s relaxed ambiance and fabulous breakfasts, might not be the first place you think of for fishing. However, with the Black River only a few miles from the Inn, fishing opportunities abound. Fish rainbow and brown trout through June. Bass and other warm-water species are fished in summer. If you’re not sure where to start, you may want to rely on the expertise of a guide. You benefit from their experience and local knowledge. They have only one goal. To make sure your Vermont fishing trip is the best possible adventure. 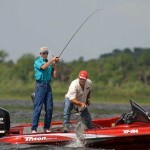 Some fishing guides will help you with reservations on places to stay. 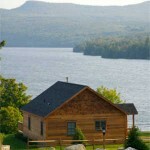 If not, consult Vermont.com for lodging choices to meet any need or budget. For a knowledgeable fishing charter captain who can maximize your Vermont fishing adventure, check out 3rd Alarm Charters. Captain Matt Trombley brings 30 years fishing know-how to the job of providing each customer the ideal experience whether it is their first time or they are old hands. Whether you want trolling or casting, have your own equipment or need to have equipment provided, are looking for fishing in lake, river or stream, Captain Matt can accommodate you. Captain Matt even suggests that a fishing charter makes for an action- and fun-filled bachelor/bachelorette party! One of the best resources for everything about fishing in Vermont is the Vermont Fish and Wildlife website. Here you can find information on where to fish, what to fish, fish stocking schedules, special events, and general knowledge. You will also find regulations and everything you need to know about licenses. This article was originally posted on 03/29/16 and updated on 03/12/19.